Improve your home’s durability, weather protection, and curb appeal with our customized roof shingles. Looking to boost your home’s visual appeal while also increasing its durability and protection? Then you need Atlanta roof shingles from Tight Line Exteriors! Since 2004, our locally owned company has worked with homeowners across the Greater Atlanta area, including Marietta, Roswell, and Alpharetta—wowing them with our world-class service and first-rate selection of roofing shingles. Whether you prefer classic wood or high-performance asphalt, we have the Atlanta roof shingles for you! You contact us for a free, in-home consultation and cost estimate for your new roofing shingles. One of our experienced roofers will come to your home, listen to your needs, and help you choose from our many shingle options. 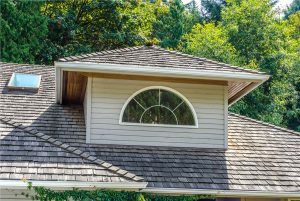 Once you approve our detailed estimate, Tight Line’s professional roofers will install your new shingles—always with on-time arrivals, on-site supervision, and mess-free work. We complete your roof shingle replacement and cover it with manufacturer warranties and in-house labor guarantees. …And that’s it! At Tight Line, we make roofing upgrades easy from start to finish. After our affordable installation of your high-performance shingles, all you have to do is enjoy them. Give us a call today to discuss your new shingles or replacement roofing project, or fill out our brief online form now to start with a free, no-obligation cost estimate in the comfort of your home. Whatever your needs may be, we at Tight Line Exteriors look forward to being your trusted resource!